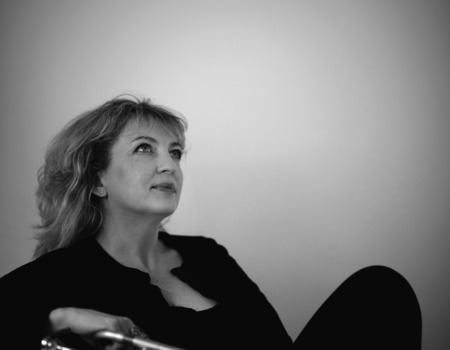 Tipped for the top by Jazzwise Magazine, Sue Richardson is a rare female trumpet player and singer who composes and arranges her own material. 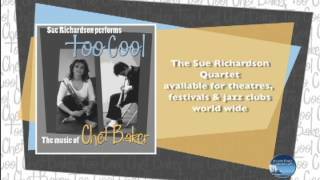 Her show TOO COOL - THE LIFE AND MUSIC OF CHET BAKER features the beautiful music of Chet Baker from the smoky jazz clubs of 1950s West Coast cool. Chet's romantic music belied a tragic, heroin-fuelled existence and his intriguing story epitomises that of the classic jazz musician. Running alongside the music, Richardson tells Baker's turbulent life story, including his many faults and sometimes-tiresome behaviour. A jazz fan or not, the story is sparky and engaging. Taking a fascinating, multi perspective approach, alongside the trumpeter's new Chet-inspired compositions, we get to hear many of Chet's own songs plus one of the standards that he is most strongly associated with, My Funny Valentine. Richardson has a sense and spirit of Chet Baker within her, both in her playing and vocals. Strong yet delicate - sensitive and very lyrical.